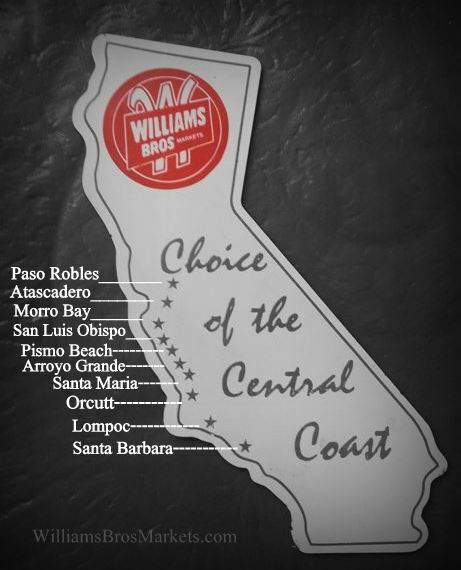 During the early 1990's the Williams Bros. Market chain of 19 stores stretched along the California central coast from Santa Barbara to Paso Robles. After the 1992 Vons acquisition these stores became a part of the Vons "300" series, Store #1 became Store #301 and so forth. *Need help with the exact addresses of the store locations below. Highlighted links below. Have an old store photo to share? Download it to us below!